Next week-end, on Saturday, July 17th, 2015, to be exact, I will be at Northwestern State University in beautiful Natchitoches, for their annual Folklife Festival with my friend and colleague Dr Jack Holden, esteemed author of Furnishing Louisiana. I use the term colleague a bit loosely as I would not put myself in the same category as Jack. If you've ever paged through his book you would understand the immense depth and breadth of his work in bringing Louisiana Cultural woodworks into the forefront of artistic studies. The article posted below, unfortunately, gives him a bit if a raw deal by making very little mention of his involvement at the conference but let me assure you that he will be the star of the show. Saturday morning I will have my light 500 lb traveling workbench with me along with an eclectic assortment of tools to demonstrate some of the techniques used in the building of Louisiana or Lower Delta French Furnishings. I can neither confirm nor deny his presence however I suspect that Dr Holden will be near-by as well as if you care to ambush him with questions. Later that afternoon, Dr Holden and I will be fielding questions from a very qualified academian of Louisiana Culture, anthropologist Dr. Hiram Gregory. This will be an open conversation between the three focused primarily upon the Creole Table. 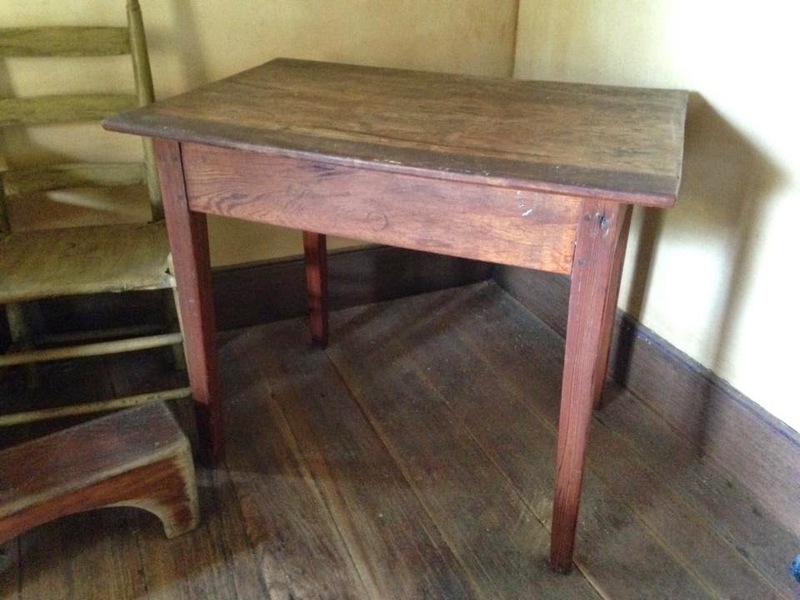 We will discuss both the nitty-gritty of the craft, the early craftsmen we have to thank and the more studious side of Louisiana Furnishings as a form of art as documented in Dr Holden's book. This will be attended by an audience of peers and students and it will also be recorded as part of the university's project of documenting Louisiana Culture and Craftsman. I am being told that the resulting video will be available on-line and free of charge. I will surely post a link to the video once it becomes available... so long as I was having a good hair day and the lighting is dim! I believe the floor will be open to questions at the end of the discussion. Please do not be shy, ask questions! Also if you are a craftsman / craftswoman or are simply interested in the subject matter, myself and I am sure Jack will gladly speak to you after the conference to answer any additional questions not addressed during the program. There is a small yet nonetheless real possibility that I may require a local craft beer to stimulate deeply methodical and probably erroneously enlightening answers. Click here for further details about the Folklife Festival and the news article where Dr Holden is sadly only briefly mentioned. I am certain that this is not a reflection of the University but a simple oversight by the writer.